Now if we could just get him circumcised. As Lord Voldemort tightens his grip, Hogwarts is no longer a safe haven. Harry suspects perils within the castle, but Dumbledore is intent upon preparing him for the final battle. I haven’t read the Potter books, but if the screenwriters have stuck to the story, they must have had a nightmare adapting it. In fact, is this the instalment I heard about that people weren’t so keen on? After all, Potter is on his own most of the time, engrossed in a potions book he has found that belonged to the mysterious “Half Blood Prince”, ignoring his friends who have nothing to do but be lovesick and frequently being very angry because of the events of Order of The Phoenix. And to cap it all, a downbeat ending that, unlike benchmark Dark Episode from the Star Wars saga, The Empire Strikes Back, promises no defined path for the part. A vague reason, but no path. I assume all that was stronger in the book, because as if almost afraid to rock the lucrative boat, the film lacks vitality, not helped by a lack of action and being much too over-long. While Daniel Radcliffe was traditionally the weakest of the three kids, he’s grown to be on a par, but here, it’s like he’s holding back on the emotion again. It doesn’t help that the other two are nowhere to be seen in the stories handful of set-pieces. I actually think this had the potential to be one of the most interesting and powerful stories though, if they had gone for it and dialled the scale back to a lonely, hurting and dangerous hero; Harry Potter as if by Martin Scorcese! Considering this was probably the hardest to make and stick to the tried and tested formula, I think David Yates has done a great job and I hope he has been able to build on it for The Deadly Hallows, because he deserves a blistering sequel. I like contrasts, and he brings a sure-footed elegance to the drama, but proves to still have an eye for scale in the all too few fights. Harry versus Draco in a grim, and eventually bloody, bathroom showdown; defending the Weasley house from Death Eaters; and Dumbledore’s finest moment destroying a legion of... things... about to drown Harry (plus he has just had his hardest moment of the series so far). As I said, I think Radcliffe did ok, but was probably unsure how to tone the performance and so often appears lost and never sells the seething rage Harry must surely be feeling. Meanwhile Grint and Watson are hilarious with the various easy side-show romance shenanigans. Ron is very funny indeed when he falls victim to a love potion! Of the adults, Rickman once again works wonders with a gift of a character in Snape who keeps us guessing even now, while Gambon makes his mark with an enigmatic turn as Dumbledore. I’d love to have seen what Richard Harris would have done with the role by this point, but the unique relationship between the Professor and Harry is very well-done. Willing, classy support comes from the regular cameos (love Helena Bonham Carter!) and newbie Jim Broadbent. I can’t think of another franchise to reach this many films, when the plot is essentially the same one throughout and so essential it leads into the next part. Different stories, of course, but the plot stays the same. It’s clearly a curse, because while this film is very well made, it suffers from familiarity and yet wanders in a no man’s land as far as the franchise is concerned. But this is the sixth film and you can excuse them losing the plot once, though it is a shame they didn’t have the confidence because it could have been something different with such room to play with. I don’t think this is as weak as Chamber of Secrets, but so much more was expected following the truly great last few instalments as the kids had finally come almost to the front-line and now they wandered back again. This is the first film that has made me pay more attention to the books potential though. 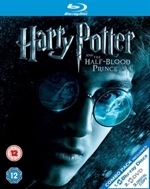 The Half Blood Prince is simply a thankless instalment to adapt. Too dependant on what came before and what will come, while leaving a big bland hole to fill with an inevitably depressing end. Despite all this negativity, I did really enjoy it, as always. Go figure! The book is better. I think too many important little details were left out of the movie and several things have not been set up properly for Deathly Hallows. And stuff that wasn't in the book gets added in for no reason. Because of that stuff, I have major concerns about the last movies. Yeah... you have to do something about that. I have read the books, but quite some time back. I suppose that helped me when watching this film, as I would not be worried about missing details too much. I did enjoy the bold move to make this more of a character piece than another wizard action flick. It felt like the "calm before the storm" it's supposed to represent. Yes, this is the one many fans like the least. The scene at the Weasly house being one of the ones in the center of attention (it is not in the book, IIRC). Of course the book is better, it goes over 700 pages and has loads of time to take us through. While I think it's a good idea to split the 7th book into two (less details dropped ) I appreciate that they didn't do so on any other of the films. For me it was a .
Oh I liked the last movie overall. I am just...irked by some of the decisions made on what to keep ..or add in unnecessarily. I will catch up with the books one day. Probably wait now until after the films! Khaled Hosseini's stunning debut novel is now an acclaimed motion picture. As young boys, Amir and Hassan were inseparable friends, until one fateful act tore them apart. Years later, Amir will embark on a dangerous quest to right the wrongs of the past - and redeem himself in ways he never expected - by displaying the ultimate in courage and devotion to his friend. 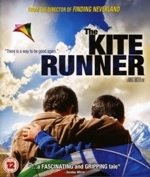 After half an hour or so, I thought I had The Kite Runner pegged and it was exactly what I suspected; a kind of, Stand By Me, Afghanistan remake. It’s a charming, wonderful story about two friends growing up in a politicised, but vibrant and colourful country. Then suddenly, it’s something darker and not because of where it is set, but because of how the relationship between the two boys develops, following a dreadful event that will make you squirm, despite the lack of graphic detail. All the work is in the characters. Young Amir (Zekiria Ebrahimi) is the spoilt brat and I admit I felt cheated when the story moved away from his friend, Hassan! Both actors are brilliant, but Ahmad Khan Mahmoodzada plays Hassan as such a selfless and honourable boy, he is an absolute charmer. Thankfully, Khalid Abdalla as the older Amir anchors the film with an understated performance. His wife is played by the gorgeous Atossa Leoni and she does well with a role she could easily have coasted through, yet she holds the focus so easily. But of all them, the best character and actor combined is Homayoun Ershadi as Amir’s father, or “Baba”. He is superb in a changeable role that is never less than absolutely engaging. It’s him and the young Hassan that make this film very special. Director Marc Forster perfectly judges the tone throughout, while realising a depiction of a country in turmoil. I loved his visual touches, like the exciting kite tournament that uses the kites for a thrilling birds eye view of Kabul. As with Finding Neverland, he crafts truly beautiful scenes that never sacrifice relevance for imagery. While we are focused on a rather selfish story, the background to it might just help understand the awful situation in Afghanistan. I’m not disillusioned; the depiction of Russians and Taliban is a bit too convenient for this to be a pseudo-documentary, but that should be excused considering the point of view of the author and that this is setting out to be passionate rather than political (in fact, Amir acts like he is walking on eggshells in the final part, lest he disturb anything!). But the characters are so layered and charming, they can only be seen as a positive, human depiction of the Afghan people. My only problem with it is not even the fault of the film, but the original book. The story feels too personal for the author, Khaled Hosseini. Beyond the obvious conceit that the central character is a writer, I can’t help think this story is biographical. That he was the boy who betrayed his friend and he suffered a lifetime of guilt, so much so that he wrote it as atonement; and that the final act is a fantasy redemption that didn’t really happen. He had stood by while his friend suffered, so it seems too poetic that he should return to the country many years later and manage to find the same bully, despite the overbearing Taliban. The twist feels like a daydream that would set in motion the right turn of events to allow him to face his nemesis and might have worked better with a similar trick Atonement pulled. But the only reason I’ve thought about this so hard is that the film is such a perfect realisation of the plot. Marc Forster continues to prove that he is one of the best directors working today, extending an already eclectic array of work with a heartfelt ode to friendship. This film is a joy, which nevertheless packs a punch. 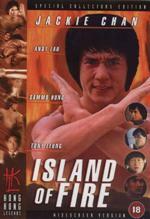 Now available for the first time in its original widescreen format, this deluxe DVD presentation of "Island Of Fire" is the perfect home-video showcase for the most hard-hitting and controversial movie of Jackie Chan's prolific career. Paying homage to both "Cool Hand Luke" and "The Wild Geese", and featuring action legends Sammo Hung and Jimmy Wong Yu, the powerful action-drama recounts the experiences of four honourable men drawn together by fate in a corrupt prison regime. Fighting not only for their freedom but their lives, the stakes are raised higher and higher until one question exists. Will they survive? Well, this is one of the oddest films I’ve seen in a while. Madder than a box of frogs! The overview is simply hilarious once you have seen the film. Normally there is no point reviewing a plot for a Hong Kong martial arts movie. You don’t watch them for drama, but for the sheer spectacle. Perfect action movie fodder. Thing is, this weird little effort is low on kicks and high on and attempt at a plot. It’s marketed as a Jackie Chan flick, but his is not the main story. Instead it is Andy Lau as a detective going undercover in prison for two years to solve the murder of his mentor. The murderer was killed at the scene, but fingerprints prove he was a prisoner, executed years before. Once Lau is in prison, we meet Sammo Hung. Sammo is always fun. A large guy, but highly skilled in Kung Fu (he was schooled with Chan and was one of the “Little Dragons”). He is also one of the more charming actors from this genre and this is clearly a dramatic effort for him, because he only has one brief fight scene really in his story about multiple escapes to see his son. Chan does get a lot more to do, but his fights are more straightforward and serious than usual, which is interesting to see, but again, I stress, this is not a Kung Fu movie. His plot concerns his efforts to raise money to pay for his girlfriends surgery following her being attacked because he didn’t throw a pool match. Yes, you read that right. A pool match being setup by gangsters. Told you it was odd, but this isn’t the half of it! He ends up accidentally killing a gangster and ends up in prison, where he is attacked by gang members trying to avenge their boss. Eventually his brother (Tony Leung) gets himself imprisoned too so he can do it himself. Lau, Hung, Chan and Leung. Three separate plot lines put together rather awkwardly making for a gritty prison drama. Shawshank this isn’t but hey, it’s not awful. It’s a mess, but Andy Lau and Tony Leung are excellent actors and you can’t fault Sammo’s enthusiasm or Jackie Chan being serious for once. It’s occasionally funny, but has none of the usual farce that you might be used to from this era. It’s occasionally tough and poignant, but the writers are batting way out of their league. There are huge contrivances and leaps of faith to make it all plug together. Five stars for effort though. So then we come to the final act. Erm... yeah. From out of nowhere, they remember the original premise and suddenly, we have all four principals in a huge action scene. Still no Kung-Fu to speak off, this is more The Wild Geese blood and bullets. I can honestly say, none of these three films are terrible! They are convicts, psychos, lunkheads, losers - and champs at the box office and in movie lore. Decades after it burst onto the scene, "The Dirty Dozen" remains a milestone among ensemble flicks. Lee Marvin portrays a tough-as-nails major volunteered in the Army way to command a squad of misfits on a suicide mission against Nazi brass. Charles Bronson, Jim Brown, John Cassavetes, Trini Lopez, Telly Savalas, Donald Sutherland and Clint Walker are among the 12 jailbirds who will earn their freedom if they survive. And Robert Aldrich ("The Longest Yard") directs, blending anti-authority gibes with explosive excitement. 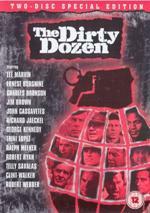 The Dirty Dozen has been oft imitated, but never bettered. It was made back in the days when movies could be hugely entertaining and main stream, but still be subversive. Robert Aldritch’s film is therefore a brutal and angry anti-war protest, but masses of fun, full of great characters played by a legendary cast spouting mean dialogue. The Magnificent Seven Go To War, maybe? Possibly, except there are 12 of them, and they’re all bastards! Lee Marvin leads as the undisciplined Major tasked with creating a suicide squad from a bunch of lifers and some destined for the gallows. Charles Bronson and John Cassevetes are most prominent, but they’re all memorable and distinctive in some way, ranging from quiet, well balanced Clint Walker, through to genuine dangerous nutcase Telly Savalas. Ernest Borgnine is amongst the top brass and Robert Ryan is an out-of-the-loop Colonel who threatens to derail the whole plan. It starts with a nasty scene that sets the tone throughout. Three quarters of the plot is simply training, but this is an action film from a time when there had to be a reason for that action. No detail is missed as we see the Major beat and bully the squad into his “Dirty Dozen”, so named when they lose their soap and shaving privileges. All the time there is the possibility that one of them will knife the Major and do a runner, except you kind of know that will never happen. There is a bond that forms between the beatings and growling and by the time they take on Robert Ryan’s squad in a war-games exercise (with nervy George Kennedy having fun as a marshall), they’re still tough, but working together, so now they’re lethal. The stage is set for the finale and it’s one of the great action sequences of any war film. In retrospect, not a huge amount really happens, but what does happen is loud and ruthless. It is a huge influence on a certain kind of men-on-a-mission movie, such as Where Eagles Dare and The Wild Geese, and not least on Inglourious Basterds, in which Tarantino shows how well he understood Aldritch’s message that he could retool it so well. But it's been a huge influence on the action genre too and I think it would have been a very different genre without this film. Would even Harry have been so Dirty? There’s no beating this original though. You can’t get a cast like this anymore and I doubt audiences wouldn’t respond to it in the same way. 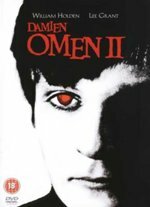 The chilling tale of Damien, the son of Satan whose birth was prophesised in the Book of Revelations, began with The Omen, and continues in this second compelling installment of The Omen Trilogy. Seven years have passed since Damien narrowly escaped death at the hands of his own father. Now he is 13 years old and lives with his uncle Richard Thorn (William Holden), his aunt Ann (Lee Grant) and cousin Mark. As Damien discovers his powers and how to use them, powerful protectors, the disciples of evil, watch over the boy. His uncle gradually comes to suspect that the boy is not as innocent as he appears, while his aunt steadfastly refuses to believe the warnings and protects Damien as if he were her own. But others are aware of Damien’s true nature. Time is growing short... as the forces of good and evil battle each other to a taut and terrifying end, will Damien be destroyed by one of the many who try, or will he survive and flourish as the embodiment of evil on earth? The sequel to The Omen is what Aliens is to Alien, except there was a limit to where they could really go with it. The original was quite serious and menacing, but with an occasional wink as it played fast and loose with the Old Testament. Damien builds on that by fully recognising the limits and embracing the inherent silliness and ramping up. It still has a pretty solid plot too, as the paths are being cleared for the Anti-Christ to step into a key position in society. It’s great fun. And I’ve always enjoyed the political and religious intrigue, so if you’re like me, you’ll get a kick out of seeing the apostles neatly placed to realise Damien’s potential. I love the start of the film, with the powerful theme and doomed Leo McKern driving like the devil was on his back. There are many varied and exuberant deaths that, while they lack gore, are still Friday night horror scenes worth cheering. Especially the lift scene! They aren’t as neat or scary as the ones in The Omen, but this film keeps the serious mood and so becomes an enjoyable romp. Jonathan Scott-Taylor is very good as the young Damien. The original boy was great casting as he was a cherub faced toddler, but with an occasional expression to send a shiver down your spine. Jonathan is similar. He plays Damien as honest and hard-working, if spoilt and precocious, with a precise speech that betrays his arrogance. He has no idea of his destiny and once he finds out, he continues to convince, now he is in turmoil. A Michael Corleone sort of arc, if you will. Lance Henrikson is fairly underused, but particularly impressive as Damien’s platoon leader in military school, but is also one of the apostles. He strikes a balance between clearly being in awe of Damien, yet disciplining him too. William Holden brings a bit of old Hollywood style to Damien’s Uncle, suffering the same torture as Gregory Peck in the first movie, determined to ignore the evidence while the bodies pile up. In retrospect, it would have been nice to have more substantial resistance. A suggestion that there are those on the opposite side being just as organised in thwarting the boys rise to power, rather than these poor buggers who are dealt with as soon as they realise anything. But even if you do see it as relentless and obvious, it’s still one of the best horror sequels, all things considered. I remember back when the first Omen movies were coming out. My dad blurted out the ending to the first to me and I vowed t onever see the movie because of that. And I never have. I also remember when the third movie came out, Daily Variety (Hollywood trade paper) in their review said it was too bad that was the last of the series...because that one was the funniest one yet!